Making general donation to today will help support Tell Every Amazing Lady About Ovarian Cancer Louisa M. McGregor Ovarian Cancer Foundation’s Mission to promote awareness of the signs and symptoms of ovarian cancer, to enable early detection, and to help find the cure for this deadly disease. Make a donation in memory or honor of someone you love. Request an acknowledgment letter to an individual or to a family that you have donated in memory or honor of. Commemorate your loved one by purchasing a customizable tribute plaque to be hung in the T.E.A.L.® Community Center. These tributes will remain an important, permanent part of our foundation. 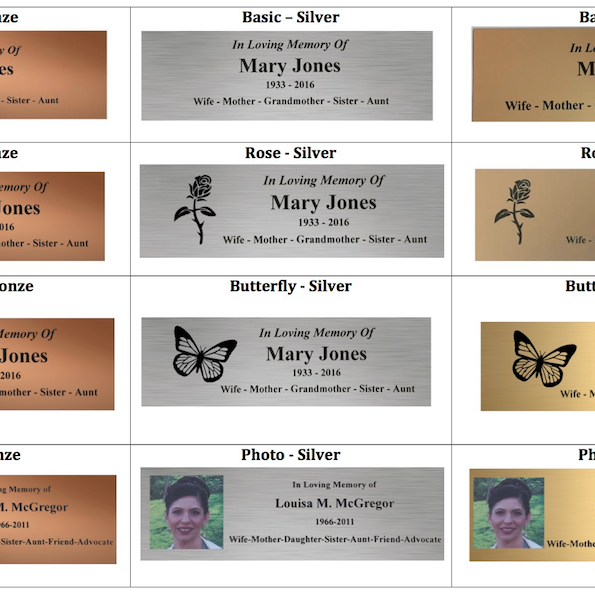 A tribute plaque will help you and our community remember and honor your loved one in a special way for years to come. Join T.E.A.L.® at our Community Center for a small ceremony with your family and friends after we place your loved one’s tribute plaque on our Memory Wall. Please call us for scheduling availability. 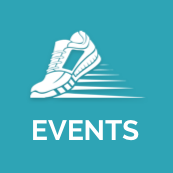 If you’d like to support a registered participant of a T.E.A.L.® Walk/Run, you will be able to make your donation on their behalf if registration is currently open for the next Walk/Run. You will also be able to make the supporting donation in honor or in memory of a loved one. 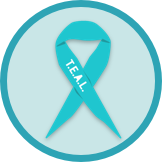 lifesaving research that gives women with ovarian cancer everywhere the best chance for a cure. Start Your Own Fundraiser or Create a Tribute Page through Facebook or Crowdrise. Double your donation! If your company participates in matching gift programs, they will match your donation so that it doubles the donation amount. Some corporations also match funds for employee volunteer hours with T.E.A.L.®. If you are unsure whether your company participates, contact your Human Resources Department to find out whether your gift or volunteer hours can be matched. We may already be in your company’s system. Contact us for more information. If your employer requires an Employer Identification Number (EIN) or a Federal Tax Identification Number, please use : 26-4417161 for T.E.A.L.®. If you would like to mail in a donation please be sure to Download our MAIL IN DONATION FORM to attach with your payment. 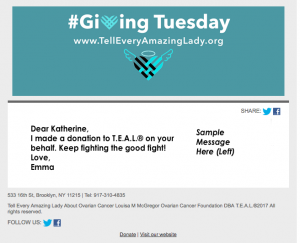 Life Insurance: Consider naming Tell Every Amazing Lady About Ovarian Cancer Louisa M. McGregor Ovarian Cancer Foundation a beneficiary of an existing life insurance policy. Stocks and Bonds: Consider this alternative as a donation gift. Estate Planning: You can make donations through your Living Trust, Will, Life Insurance Policy or Retirement Plans.